Psychology Strand, University of Papua New Guinea. The inter-dynamic symbiosis between employees’ motivation and social contact is crucial in our understanding of behavioral management and as such, this study investigates the effect of perceptual propinquity on double demotivation in a repeated subject design. There were two hypotheses. Firstly, it is hypothesized that the subjects who are highly and lowly paid as compared to their counterparts of same level will be demotivated (double demotivation) than those that are equitably paid. Secondly, it is predicted that the subjects who are highly and lowly paid and at a close propinquity from their counterparts of the same level (perceptual propinquity) will be more demotivated than those whose propinquity is far from their counterparts, whereas for those equitably paid, there will be no demotivation. 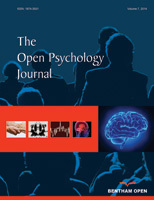 A total of 132 undergraduate university students were instructed to imagine working in the same organization (Scenario A) and view a similar colleague working in the same organization, and for a different organization (Scenario B) in three conditions of low, high, and equitable were told that a counterpart doing the same job is paid more, less or equitable as compared to them respectively and then, they rated their job satisfaction and provide explanations for their ratings. Consistent with Social Equity Theory (SET), both underpaid and overpaid groups has significantly less motivation than the equitably paid groups. Furthermore, the results do support the hypothesis that the closer in propinquity for workers paid differently, either high or low as compared to their counterparts of the same level, thus the demotivation effect is greater than those far in propinquity for doing the same job.